Hurricane Harvey Relief - Chabad Lubavitch Center Regional Hdqts. Want to keep in the loop on the latest happenings at Chabad Lubavitch Center - Texas Regional Hdqrtrs.. Subscribe to our mailing list below. We'll send you information that is fresh, relevant, and important to you and our local community. 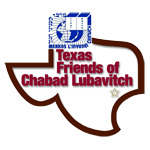 Chabad Lubavitch Center - Texas Regional Hdqrtrs. Dedication Dinner with Yoel Sharabi Concrete poured for new mikvah Women Mikvah Construction West wing dedicated at newly expanded Chabad Center Chanukas Habayis Cocktail, Concert & Chinese Auction Chanukas Habayis - West Wing Demolition part of expansion project, revitalization of neighborhood Apartments, Synagogue Join Forces in Fondern Southwest FONDREN SOUTHWEST / $20 million grant fuels apartment rehabs Fondren Court Apt Demolition!! This is a devastating situation but together we will get through it! The community of Houston is thankful beyond words for the outpouring of support from around the world, to assist the Hurricane Harvey Relief and cleanup efforts. As you saw in media reports, Hurricane Harvey brought unprecedented devastation to the Houston area and the Texas Gulf Coast. In keeping with the Chabad philosophy that another's material needs is our spiritual work, we have been doing the best we can to alleviate some of the hardship that people continue to endure as a result of the storm and we are grateful to all who have joined with us in this effort. When Hurricane Harvey hit Houston, Chabad Harvey Relief mobilized immediately to meet the needs of the community and beyond. As a grassroots organization with branches in many parts of the city, we received many calls for help. We responded by sending rescue boats and vehicles as well as food, cleaning supplies, cleaning help, babysitting help, hugs and more. As we saw how many people lost everything, one of our volunteers came up with the idea of an amazon registry for people from all over the world to be able to gift flood victims (our floodie buddies) with essential items that needed to be replaced. To date the Chabad Harvey Relief Fund has been used for a wide range of relief efforts including the high cost of the immediate acquisition and distribution of relief supplies, food preparation and delivery, storm clean up, trucking, emergency cash assistance, temporary housing, supply & food pantry, command and call center, warehouse distribution center, tefillin, mezuzot and much more. Grants were also made to the families stuck on the islands from Irma & Maria, for their urgent evacuation needs, before their own campaigns were able to get off the ground. We purchased, delivered and set up 30 sukkahs for flooded families just in time for the holiday. We are focusing as well on the emotional and spiritual recovery of the community through uplifting and educational programming addressing the aftermath of Harvey, including Shabbatons, rallys for children, a sukkos extravaganza held at the flooded United Orthodox Synagogues, programs for families flooded and with special needs children, over $200,000 in financial assistance to Jewish day school families and many more programs in the near future offered through our 11 Chabad centers in Houston and 1 in Corpus Christi. Ms. Skolkin and Mr. Tillis had planned to host a dinner for about 100 out-of-town guests at Aishel House that day. Instead of feeding their guests, they fed a three-course meal to 100 displaced local residents. Levi was featured this evening at the #Kinus for the simultaneous banquet of the Young #Shluchim conference, about his new relationship with Danny Stein in the aftermath of #Harvey. The Kinus Tzeirei Hashluchim is a project of The Shluchim Office. This program is a unique opportunity for the sons and daughters of Shluchim to draw the same energy and inspiration as their parents do from each year's Kinus. The annual Kinus Tzeirei Hashluchim is for boys and girls, Grades 3-8, with a full schedule of well-planned activities, learning, farbrenging, trips, a visit to the Ohel and more. Fund distributes financial assistance for hundreds of families at area day schools. New York Times is asking: "Did you receive help after experiencing a personal loss? Please share your story." Chabad Lubavitch of Texas is ready to assist whenever disaster strikes. This blog will have updates for the community when the Houston emergency alert system is activated.